There are countless creams, oral prescriptions, skinny teas and coffee scrubs out there marketed to target cellulite, – but with little to no results at all – it can prove frustrating to the 90% of women everywhere who suffer through having cellulite. Even though being the road less traveled, can frequent exercise really be the solution to getting rid of cellulite once and for all? 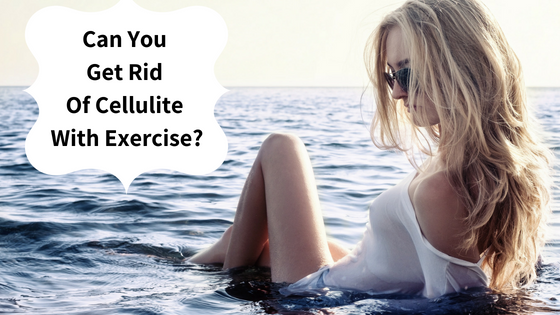 To understand if exercise alone is the answer, it’s important to first understand what might be causing the accumulation of cellulite in your body. As a matter of fact, it could be any reason from an unbalanced diet and genes to factors of aging and wearing too-tight underwear. Truth be told, there’s hardly a way to micro manage all of the above, which is exactly why getting rid of cellulite is never an overnight process. Whilst there are a lot of exercises who make the miraculous claim of being “cellulite targeting workouts”, experts understand that there is so much more needed – such as diet and external treatments – to not only lose cellulite, but to stop it from coming back as well. It’s also important to note that more permanent factors such as hormones and genetics also mean that some people are destined to suffer with more severe cases of cellulite compared to others. Step 1. Exercise smartly – not excessively. 1) Place your feet shoulder-with apart. 2) Get in a crouching position with your knees bent at a 90 degree angle. 3) Jump up and land in the same squat position. Remember to focus on using both your legs and glutes to jump as high as possible before landing back down! 1) Stand with both your feet placed hip-width apart. 2) Lunge forward with your right leg whilst straightening your left. Your left knee should be about an inch or less from the ground whilst your right knee bent. 3) Repeat this on one leg for 30 – 45 seconds before switching sides. Feel free to add a medicine ball or pick up a pair of dumbbells to jazz this workout up! It’s been disapproved that cellulite is caused by certain “toxins” in your body, but a large reason to the appearance of dimples in your body can be attributed to an intake of too much carbohydrates, salt and fats in the body. When too much of these get converted into fat eventually, it can become a nuisance to get rid of –so why not nip it at the bud? Consuming a diet that’s heavy with sugar, processed foods and alcohol can take a toll on your health in general, so switch things up and stack up on your lean meats and veggies! Foods that are lower on the glycemic index scale such as whole grains, nuts and green leaf vegetables are also great in helping with weight loss, so run to your nearest grocery store and snag those NOW. Now, we don’t mean you have to necessarily spend hundreds of pounds on physical treatments at the first sight of a dimple. However, cellulite removal treatment should not just be shelved under the “last resort” option, – it can actually be painless and even in some cases, hinder the future formation of cellulite altogether! A more famous procedure would include the LPG Endermologie, a French-inspired treatment that has been the go-to for any woman suffering from cellulite! The LPG Endermologie works its magic through techniques such as a deep massage and suction which allows for more blood and oxygen circulation to be brought to the surface of the skin. The water from these cells will be removed from the body through urination; which eventually leaves the skin looking firmer and smoother. Whether you’d like it or not, there are some dimples and cellulite textures that cannot be worked off –no matter how many hours of workouts you put your thighs into. This procedure works to gently massage the area affected to increase blood circulation, allowing a faster fat burning process, which also improves the skin’s elasticity by far –for more youthful and rejuvenated skin in the long run! Cellulite is no walk in the park to deal with –and although exercise is a great way to tone up; factors such as diet and other physical treatments are definitely due to stop cellulite from being a recurring problem. It also matters a whole lot the type of exercise you do as well, so remember to stock up on those weights and focus on isolation workouts! Take extra care to to stay away from saturated fats and unhealthy carbs and remember to check out just why LPG Endermologie is all about the hype to treat cellulite. Adopting all of these factors are surely a push in the right direction to combating all those trouble areas –so get started on step one today! Cellulite Treatments: What Works and Is It Worth the Investment? They say that confidence is the best thing a woman can wear – but let’s be honest. Whenever we look at ourselves in the mirror, it’s hard to ignore the areas that make us feel unattractive and insecure. This is especially true when bikini season comes around. No matter how cute your bikini is, there’s just no cover-up for all the body hang-ups we constantly struggle with. This, in turn, makes us feel even more dissatisfied with the body we have. Among all those imperfections women tend to obsess over, cellulite is probably one of the top items on that list. Research says that cellulite is a very common problem. In fact, a whopping 93% of women have it. No wonder cellulite treatments have been so high in demand – a lot of women are actively looking for an effective and safe solution to address this issue. Cellulite happens when fat deposits found beneath the skin push and contort the connective tissues in a certain area. This causes the skin to appear lumpy or similar to what cottage cheese may look like. Although cottage cheese doesn’t sound that bad, almost all women will agree that it doesn’t look good on the skin. Experts say that a change in lifestyle can help get rid of cellulite. A healthy diet and exercise improve the shape of our body, allowing the skin to reform into a better condition. It is also said that healthy skincare habits can help restore the elasticity of your skin. But sadly, our bodies are engineered differently, and what may work for others might not work for us. This is where cellulite treatments come in. Through science, it is now possible to get treatments that cater to any body type. We are also able to see results faster and easier compared to other methods. But with tons of options out there, how do you know which ones yield the best results? Below is a list of cellulite treatments that work, according to experts. Despite the hefty cost, laser treatment is perhaps the most popular method of banishing cellulite. And for those who are familiar with laser treatments, you may have already heard about Cellulaze – especially since it has a £2,500 price tag attached to it. Cellulaze is a trademarked method of cellulite laser treatment from a company called Cynosure. It is said to be the only laser treatment that targets the cellulite-causing structural problems under the skin. During a Cellulaze treatment, a tiny laser tube is penetrated into your skin. This tiny laser will then break down the bands that form the appearance of cellulite. At the same time, this treatment can also thicken the skin which is said to also help reduce the visibility of cellulite. Although quite new to the market, Zwave is showing a lot of potential in the cellulite treatment industry. It is also a bit more budget-friendly than the Cellulaze laser treatment. However, Zwave only works for mild to moderate cellulite issues. A Zwave treatment utilises high-energy radial shockwaves, applying it to affected areas. The tissues underneath the skin will then break down and disintegrate into gas bubbles within the structures of fat. 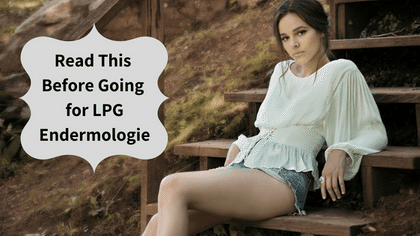 LPG Endermologie is widely available in most beauty salons, and we provide this form of treatment in our own salon as well. It is a non-surgical process and the safest among all types of cellulite treatments. In fact, did you know that it was the first cellulite treatment to be approved by The U.S. Food and Drug Administration (FDA)? Going through Endermologie is similar to receiving a deep tissue massage. In this process, a vacuum-like tool with rollers lifts your skin and kneads the tissue underneath. This stimulates the production of collagen and elastin which can reduce cellulite. At the same time, the massage also helps relieve tension and muscle pain. If you are looking for a cellulite treatment that can be done in the comfort of your own home, you’d be pleased to know that some creams and lotions can get rid of cellulite. Although the results may not last very long, this option is the most budget-friendly of them all. Experts say that creams and lotions containing caffeine may be the most effective in reducing cellulite. Caffeine has cell-dehydrating properties that can significantly reduce the visibility of cellulite. Along with caffeine, products containing 0.3% retinol also prove to be effective as a form of cellulite treatment. This is because retinol is known to thicken skin, and as we have learned, thickening the skin can reduce cellulite visibility. But before you apply the product, we suggest testing it on a small area of your skin first. These topical solutions may not be suitable for everyone, as they may contain allergy-causing ingredients. Now that you have a list of the available options on the market today, the next question is: are they worth the investment? We all know that some of these treatments can be hard on the budget, especially since some of them require multiple sessions. And depending on the beauty salon you choose, prices may also vary. However, investing in yourself is never a bad idea. 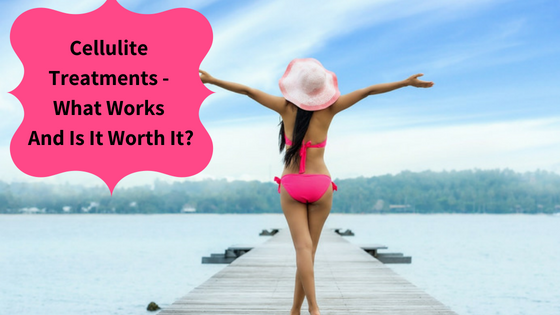 If you’ve been dreaming of getting into that bikini this summer season, or if you’re just tired of the bumps and lumps, a cellulite treatment can do wonders for you. Not only will you be able to see how great you look, but it can also make you feel good about yourself. All of these cellulite treatments have been tested by industry professionals and have been proven to be effective. No matter which treatment you choose, they all can give you a healthier and firmer skin. Now that’s something worth striving for – after all, confidence is also about loving the skin you’re in. We hope you enjoyed this article and learned something new. If you would like to try out the LPG Endermologie procedure mentioned above, this month (until May 31st) we are offering a completely free Endermologie taster session, so you can test it out and see if you like it without any risk.